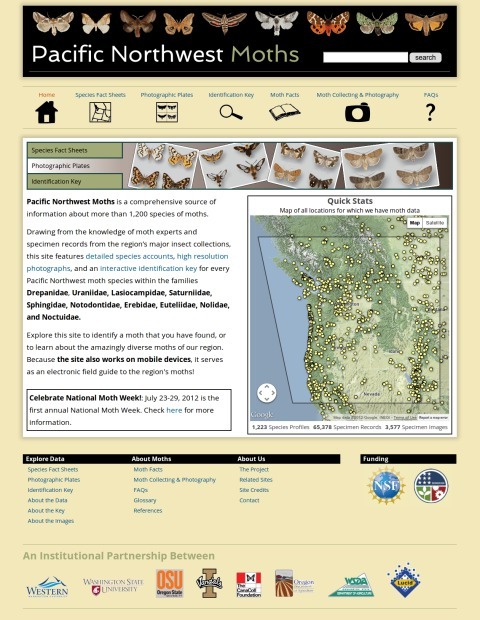 Since December 2011, I’ve been working with Merrill Peterson, a professor of Biology at Western Washington University, on the most comprehensive guide to any regions’ moths in the world. I took on the project from another student, John Huddleston, who’s now working in the Bioinformatics space. 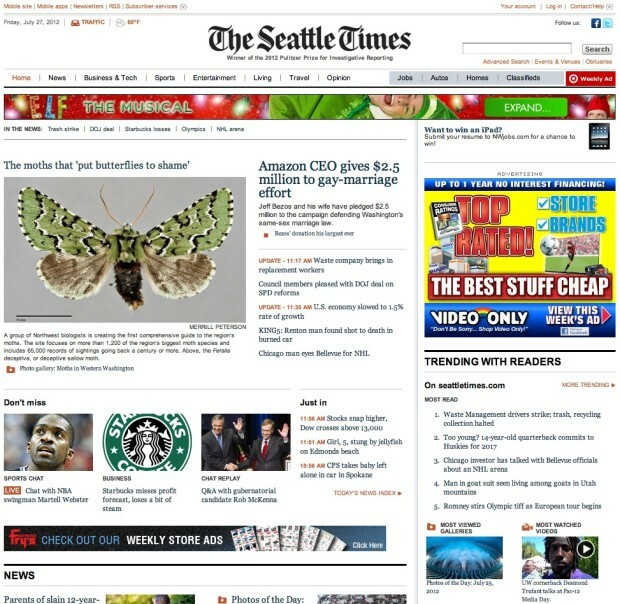 The project has been a mix of both backend and frontend work. 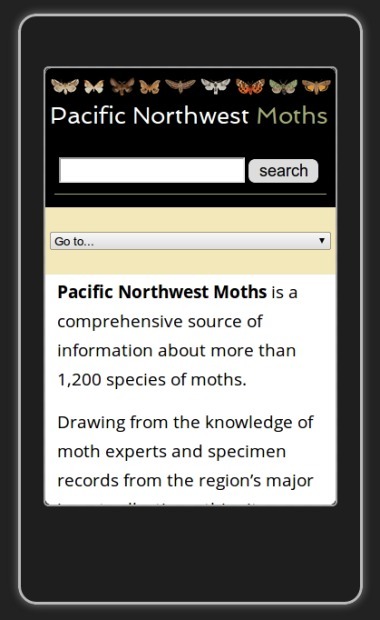 Implemented a responsive template that scales down to mobile and up to 1140px wide. 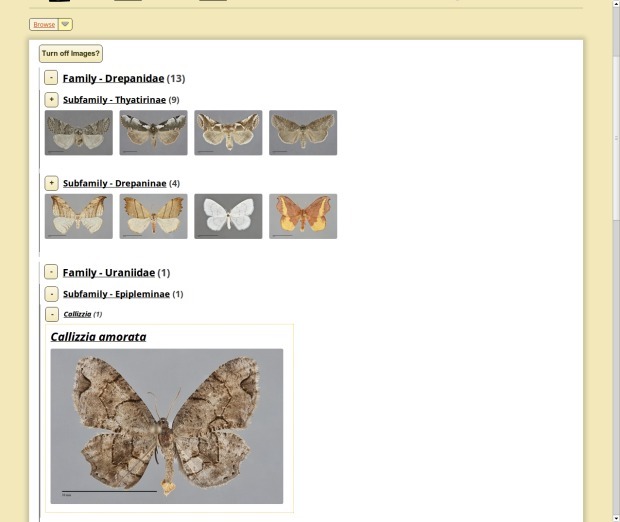 Designed a modern browsing interface for navigating 1200+ species factsheets. Built a live filtering system for species’ maps and phenology graphs. 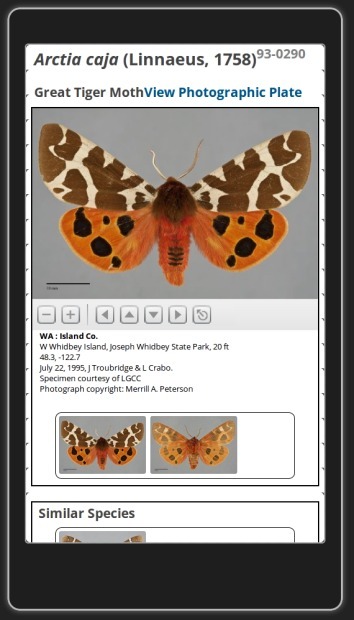 Integrated the Zoomify HTML5 player, allowing super high resolution image viewing. Created a static site generation workflow, putting our site in the top 25% of websites in terms of speed.